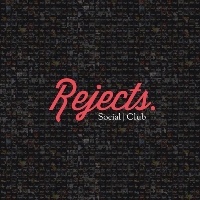 Hip hop duo FERN and Marty aka Social Club releases their third musical project titled Rejects. In this seven-track collection, the two artists divert their talent and energy to come up with a musical game plan that would execute the full potential of each track. Grungy but not imposing, Social Club opens the collection with a musically accessible track, Loosing Piece, which features exuberant beats and a handful of self-questioning and emotional lines. Next stop is Animal Kingdom, a compelling piece that transforms the image of a “reject” to a king. Listen as reverberating beats and growls add an edgy flair to the clean rapping. Taking things slow with atmospheric soulful tunes is Love Song ft. ZG. The R&B chorus puts a refreshing break from the continuous rapping. It also adds a layer of sound to the traditional hip hop arrangement. Fifth track Love Song ft ZG is a soulful R&B song that utilizes atomic, sharp beats and coiled notes. Press play and let this subtle yet sensual piece soothe your mood. Wrapping up the collection is Internal Review ft Anthony Rose x Alex Faith. The closing track exudes the concept of laid-back rapping with gradually delivered vocals that forwards through each note with swag and confidence. Social Club‘s Rejects enlists the right amount of hip hop attitude and arrangement to produce a solid collection that appeals to majority of hip hop fans.